I can sympathize with the sentiment. 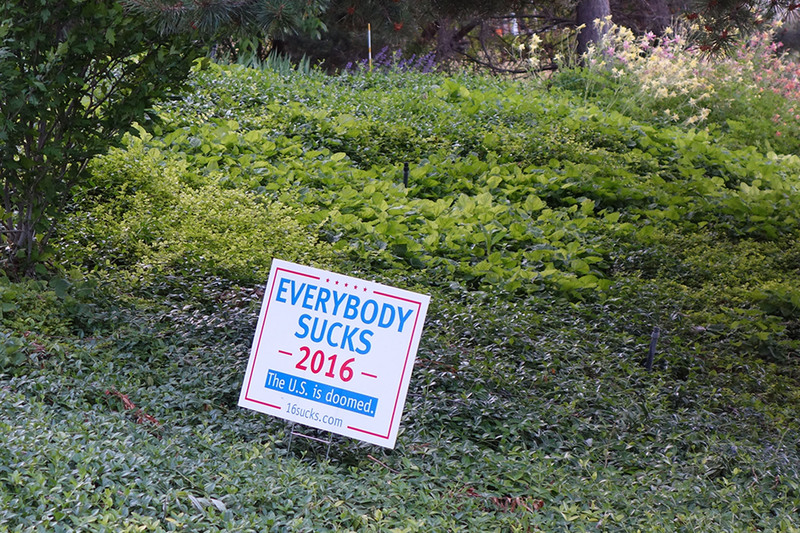 This entry was posted in Seeking a Sign and tagged 2016 presidential election, funny yard sign, political yard sign by tarvasalutes. Bookmark the permalink.